As #womenintech, #ILooklLikeAnEngineer, and prominent voices such as Anne-Marie Slaughter and Susan Wojcicki become more and more mainstream in everyday conversation, and the topic of equality in the workplace gains traction, I have to pause and reflect on how this growing movement of support for women’s equality has impacted me and those around me. As women, we have made huge strides since gaining the right to vote via the 19th amendment in 1920. I can’t sit down and write an article like this without a hat tip (or a bonnet tip) to the likes of Susan B. Anthony, Elizabeth Cady Stanton and many other brave women who paved the way for women’s equality, dating as far back at the 1840’s. Growing up in the 80’s and 90’s with three older sisters and two very supportive parents, I don’t remember ever feeling inadequate or less because I was a girl. Going to college at Berkeley, I don’t remember ever once feeling like I was held back because I was a young woman. And until very recently in my professional career, I don’t recall feeling that gender was an issue in my professional life. But over the past couple of years I have noticed a change, and I can actually put my finger on exactly when that change started to happen. I started to feel the impact of being a woman in the workplace when I started to gain more responsibility, oversee large projects with diverse teams, and deliver results that gained exposure. In short, I started to feel a change when I started to excel and grow in my professional career. Why are so many strong, independent women professionals feeling the impact of gender, when their equally strong, independent male counterparts are not? Why are we constantly being told that we come off as ’too strong’, ‘catty’, ‘blunt’, ‘awkward to work with’, etc when our male counterparts are encouraged for the same as leaders and visionaries? Or even more specifically for me, proposed to, told I was hot, and made to feel inadequate as a professional when I was supposed to be the authoritative figure in the room on the topic? And why, when trying to address this question head on, is it so difficult to have a conversation about it with peers, mentors and bosses without seeming like someone who is playing the pity card – ‘woe is me for being a woman, it’s the only reason I’m not succeeding’. For all of my successes over the past few years, I’ve had equally as many times where I’ve been made to feel inadequate or given feedback that I need to tone it down and essentially toe the line as a woman would be expected to act (not exactly in those words, but that was the unconscious bias coming through those statements). Many of the woman pushing for equality and supporting the #womenintech movement these days attribute our inequality as a gender to things such as pipeline (the low number of girls and women studying CS or a technical field today, either due to the perception that it is boring or not a female friendly field, or general lack of interest) and retention (women who leave the workplace to raise a family don’t come back). While I think these are both extremely valid points, I don’t think they get to the core of the problem as I (and many of my female friends and colleagues) see it. The problem I see is unconscious bias. We are told we are perceived as equals, but in reality, we are not. We are held back for seeming too strong, too confident, too independent. We are scolded for coming off as an alpha female. And we are passed over for leadership opportunities because we are perceived as not being a team player, sympathetic, or empathetic. In reality, we are all of these things, but due to an unconscious bias, our actions, though often the exact same as our male colleagues, are perceived very differently. I want to live in a world where unconscious bias does not exist. Where I am perceived as an equal to my male counterparts. And where women are not subject to adjectives such as ‘catty’, ‘blunt’, or ’strong’. The first step to getting there is an awareness that we are all, in fact, guilty of holding these unconscious biases. Yes, even women. Once we are aware, we can start a conversation as to how we can move past these biases to a more equal world. I actually wrote most of the above part of this article ~1 year ago, but I didn’t feel like it was ready to publish, because I didn’t want to leave it with just my thoughts on what is wrong, but instead end it with what we can do to get involved and influence change. 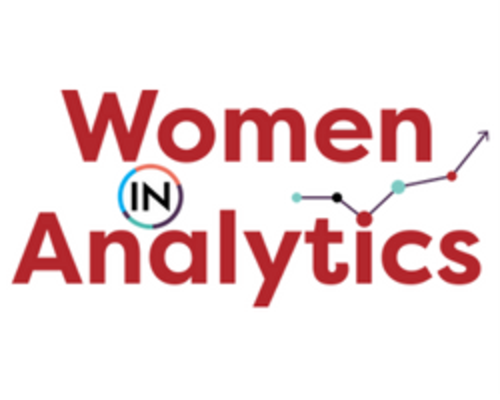 Over the past year, I’ve been involved in starting the Digital Analytics Association (DAA) Women in Analytics community, as well as a steering committee member for our Women@Analytics group at Google. Both of these initiatives are aimed at growing community, fostering mentorship and relationships, promoting women (both in terms of awareness and professional growth), and serving as a sounding board and microphone for the issues women face in their professional careers. It brings me a lot of hope for a more equal future when I see the stories and conversation happening in these communities, and it’s important to note that it’s not just from women. Men are encouraged to be involved as well. We can’t impact change without you and your support for our efforts. 2. The measure slack group has a “Women in Analytics” channel and it’s a great place for informal conversation, advice, a sounding board, etc. 3. 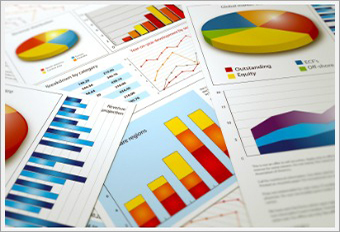 The Digital Analytics Association has started a “Women in Analytics” community. The DAA is the umbrella professional organization for the Analytics industry and I think it’s wonderful that it’s so prominently taken a step forward to support and promote women’s careers in the analytics industry. Over the past few weeks we’ve hosted three “Women in Analytics” lunch events at eMetrics NY and the DAA Symposia in Seattle and San Francisco. 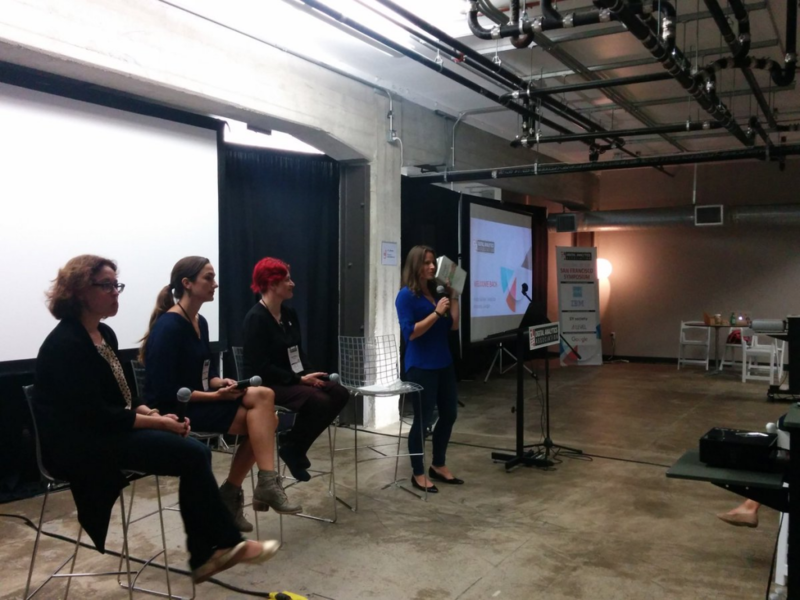 In SF in particular, we hosted a panel of distinguished Women in Analytics in the Bay Area that I moderated over a box lunch during the Symposium. Check out the Q&A panel discussion notes here. Join me and any others in supporting the promotion, acceleration, and trajectory of women’s careers in Tech, Analytics, and more! Very inspiring! Thanks for sharing this! I never really felt left out either ( as a child, at uni) I never noticed the difference until I joined the world of start-ups and had to stand out of the crowd in a space dominated by male entrepreneurs. I had to stand up for myself – I guess that’s what makes US women the stronger gender in the end. Even though I did get respect and I did feel like my voice wasn’t as important as my male colleagues. Krista, thank you for your article. This is so true. I live in France and without being paranoid, I must admit I sometimes face the same. Everything was ok until “[…] I started to excel and grow in my professional career”. We, women, should not do make do with this situation and must do our best to promote women in tech or analytics carreers. I appreciate your efforts on this issue. I have frequently made a comment in a meeting to have it ignored and when a man makes a similar comment he is recognized. I think we need to enlist our male coworkers in this as allies. Point out the behavior above and encourage them to support the woman who made the comment by saying in the meeting “… yes Stacey just stated that….”. Something as simple as that would help me to assert authority, while avoiding the catch22 that if I assert my authority I’m labelled as difficult.